In the late 1800s, San Francisco’s cable cars ran 23 routes to move people around the city’s 49 square miles. Today, though most locals have switched to more efficient modes of public transportation to get around, a ride on one of the three remaining cable car lines is still a classic San Francisco treat and a National Historic Landmark. Hop aboard for views of Nob Hill, Fisherman’s Wharf, Russian Hill and the Bay, preferably seen while hanging off the running boards Doris-Day-style. Make a stop-over at the Cable Car Museum at Mason and Washington streets to learn more about the cable cars’ history and get a glimpse of the giant wheels turning the underground cables that power the cars. 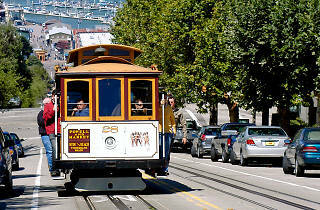 When you think of San Francisco, one of the first things that probably comes to your mind is the cable cars. 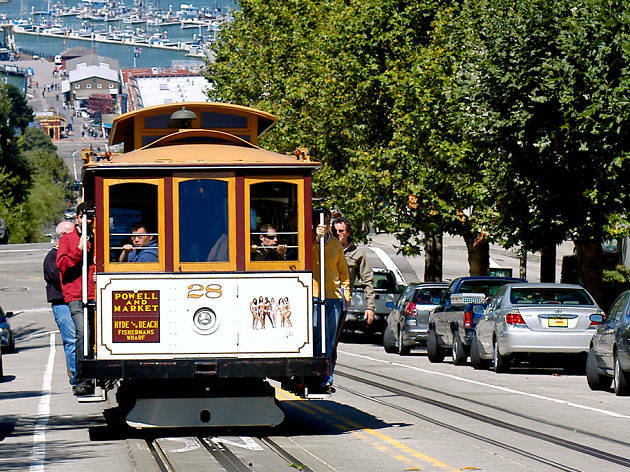 Riding one of these cars is the quintessential San Francisco experience, but to top it off they are pretty convenient and cheap ways to get around the hilly city!